Audio preservation has evolved to the point where centuries-old recordings become computer files. 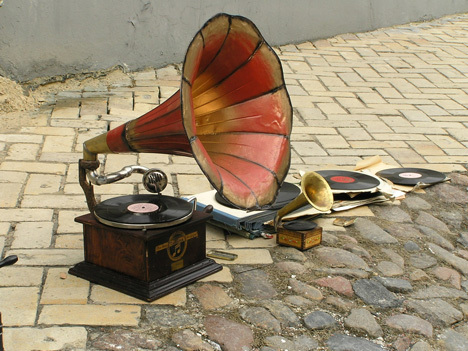 From Edison’s phonograph that recorded onto wax cylinders, to vinyl (possibly the most debated form of recording), to the compact disc, these shifts focused primarily on audio quality. But there have been recordings for just that purpose: to preserve the audio. So when a possible recording showed up in the pages of a book, media preservationists took notice. A few years ago, a survey was done of the different time-based media objects in the stacks of Indiana University’s Bloomington campus. An amazing 569,148 different forms were identified. What the report didn’t mention, however, was a hidden ‘record’. A member of the Media Preservation Initiative (MPI) at IU Bloomington discovered a circular picture buried in a volume of German reference books. While not the first ever audio recording, it revealed much more upon further inspection. The disc-shaped image was titled “Der Handschuh,” which is a poem by Friedrich Schiller. The MPI investigator proceeded to apply some slick audio recording tricks to the image. After a high-resolution scan was done of the image, the spiral was converted into parallel lines by a process called polar-to-rectangular-coordinates transformation. The lines were then ‘pasted’ together used audio editing software. If it hadn’t gotten tricky yet, it certainly did on the next step. 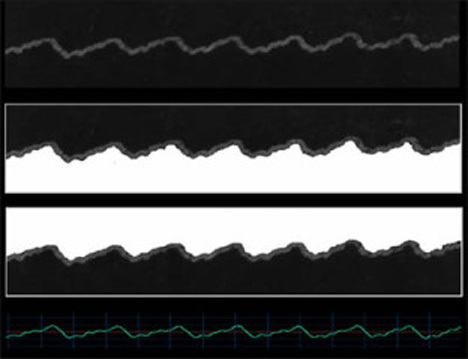 According to the MPI’s website, the engineer “[ran] these images through ImageToSound, a program that converts them into WAV files as though they were variable-area optical film sound tracks.” A stereo track was made into a WAV, and the seemingly mundane picture in the book came audibly alive. The image turned out to be a demonstration on how the lines theoretically contained enough information to produce sound. 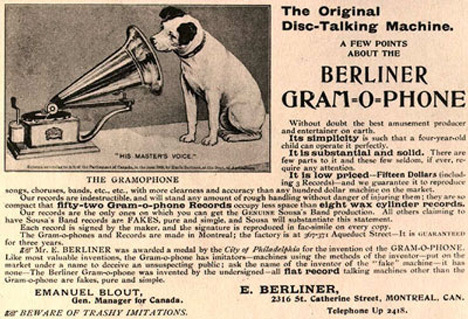 The technology was first created by Emile Berliner, the creator of the gramophone. 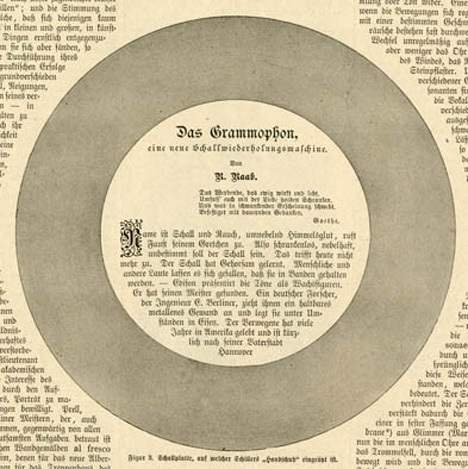 But the picture found in the depths of Wells Hall at IU Bloomington turned out to be “the oldest known recording of a complete literary work in the German language.” It’s eons behind that FLAC rip you did of a CD in terms of audio quality, but the fact that it was digitized from a book is one amazing feat. The WAV file can be heard at MPI’s website. See more in History of Tech or under Vintage & Retro. February, 2014.